- All breakout/concurrent sessions will be scheduled on July 30 or 31 unless otherwise noted. - All presentations are 60 minutes in length, which includes the question and answer period. - Interaction with participants is highly encouraged. - You can request a screen and projector, which will be provided; presenters must bring their own laptop. - Internet connectivity and audio speakers are available on a limited basis. You are encouraged to bring your own speakers for audio. - Presenters who are career-technical educators are asked to register and attend the entire Conference. - All presenters will receive recognition for their participation. Educator presenters are asked to register and pay for the Conference and attend all events and sessions when not presenting. Interacting with attendees outside of session times is a big benefit for all conference attendees. Ohio ACTE does not provide reimbursement for travel or other expenses related to presenting. There are more than 100 presenters and educators sharing their knowledge and expertise with their peers, and their contribution to furthering career-technical and adult education is greatly appreciated. Breakout sessions will be scheduled on Tuesday, July 30 and Wednesday, July 31. Session times are assigned based on providing a variety of session topics during each time period. Presenters will be notified of their day/time in May. Session rooms will be assigned 2 weeks before the conference. Ohio ACTE may change the date or time of a presentation because of unforeseen scheduling changes, but presenters will be notified immediately of any changes, which will be within the pre-determined session schedule times. Make sure you visit our schedule/online website and Log-in or Sign Up for the Event – Once you do, you should see You’re speaking at this event! And a link to "Manage and Promote Your Session" (the sign-up/log-in is located just above the word “Monday.”) Remember, you can make edits to your session description and speaker bio. ALSO, PLEASE PLAN TO UPLOAD YOUR PRESENTATION USING THIS TOOL. Attendees will appreciate being able to refer to your presentation. Pick up your presenter packet at the Ohio ACTE Connections to Education Registration area, including the schedule of all events. If you have requested audio visual (projector and screen) it will be set up in the meeting room you have been assigned. Presenters must bring their own laptop. Technical assistance will be available onsite if needed. Please plan to arrive at your assigned room 15 minutes early to prepare your presentation and audio visual set-up. Start and end your session on time. Welcome participants and encourage participants to complete the evaluation survey for your session. Provide a Question and Answer time, but be sure and move out of the meeting room at the end of your session to continue conversations so the next presenter can set up their presentation. In an effort to be eco-friendly, please minimize the amount of handouts at the Conference by uploading material electronically. If handouts are required during the session, presenters must provide them. 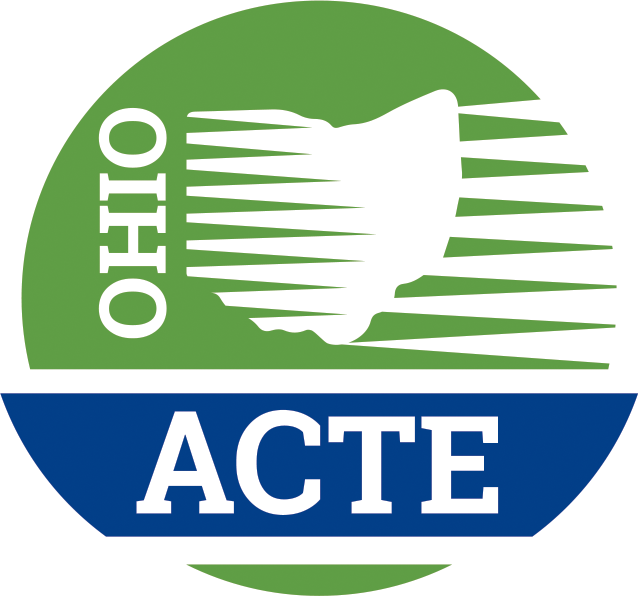 Ohio ACTE does not provide handouts and cannot create additional copies on site. It is difficult to estimate the number of attendees that will attend your breakout session and handouts will be available electronically. Upload your presentation materials for attendees to reference after the Conference, if you have not already done so.